Sanna and I have a motto: Once in a Lifetime, Once a Year. Adventure is a priority for us – so we aim to have at least one once in a lifetime trip or experience, at least once a year. This year? A two week 3500+ mile motorcycle road trip. 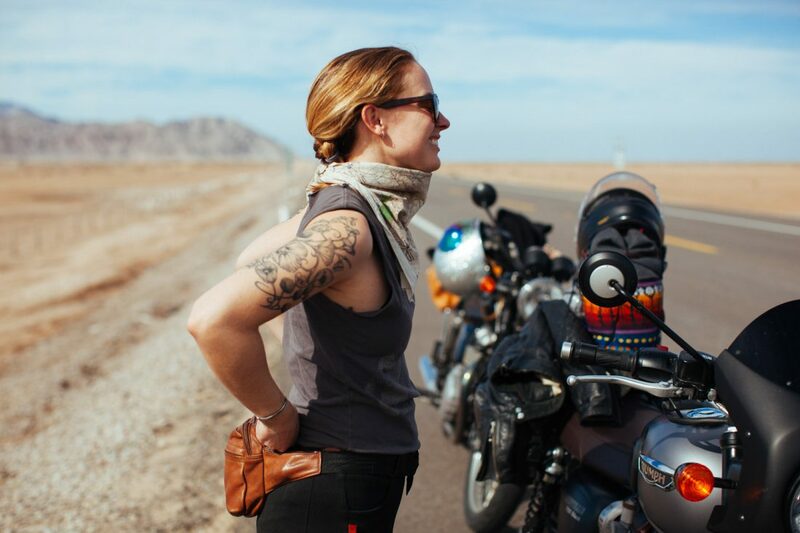 We know we’re not the only ones plotting an epic motorcycle adventure, so let us impart our growing wisdom on you! We’re spoiled – we already found each other for these major trips, and we are lucky to know adventure-loving riders we can call upon for smaller trips. But if you have a hankering for some adventure and are looking for a partner – you have a couple of options. The Internet – I tend to shy away from most forums, but as it turns out there are a lot of cool people on there who are looking for travel partners. advrider.com has a pretty solid reputation of connecting like-minded travelers (mostly on ADV bikes – duh). I’ve met a few girls via Instagram too, a DM to someone local to meet up for a drink or at a nearby event can be an easy introduction. Like anything on the internet – use your judgement in finding someone. It’s like friend dating! Meet-Ups and Rides – If you’re looking for someone local, start frequenting bike nights and Meet-Up groups about motorcycles. It’s going to take some time and social confidence, but you’ll find someone! 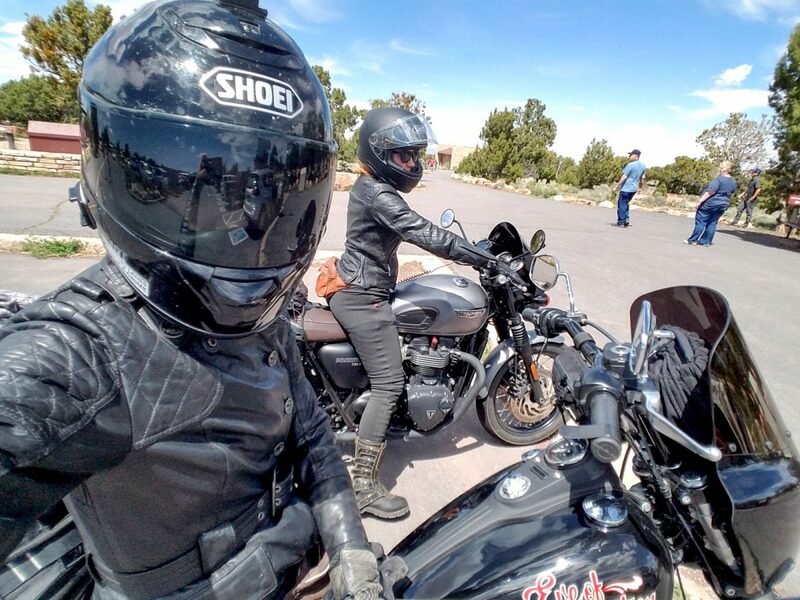 Motorcycle Events – I can’t stress enough how rewarding it is to put yourself out there for a major event like Babes Ride Out or the Sierra Stakeout, or similar events and just show up. There are super chill, friendly events all over where you can make friends for a lifetime simply by trapping yourself with people for a whole weekend. Even if you’re a curmudgeon. Ask people you already know! – It took a few months before Sanna and I realized we are BOTH people who are willing to drop everything and hit the bike for days at a time. You may already know your perfect adventure partner – and you just haven’t broached the subject yet! There are a few ways to do this – you can either decide to go somewhere you’ve always wanted to go (like the Grand Canyon) or you can pick somewhere you can get to in a weekend (Death Valley) or you can estimate how much time off you have, and pick a point on the map. For some people the destination matters more than the ride, but for me I’m happy to go everywhere. I like to average 300 miles a day for my road trip planning. 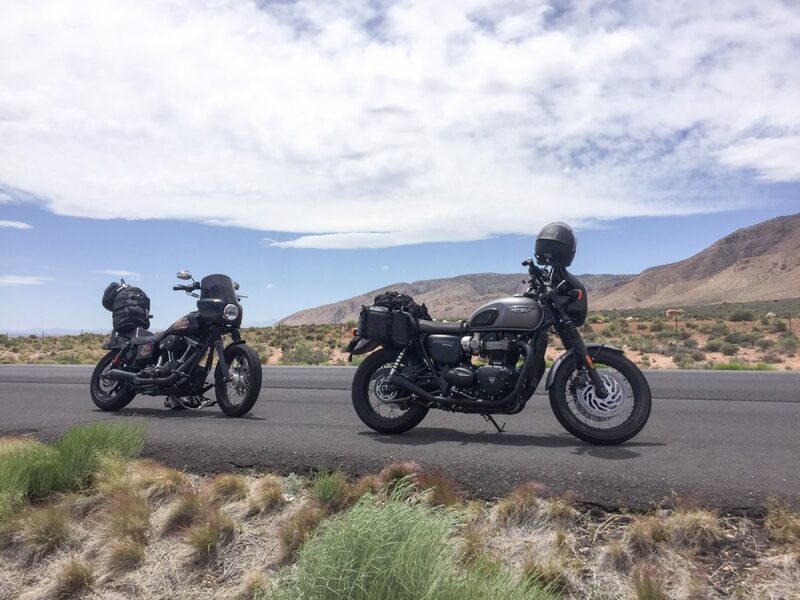 It’s not a brutally long day of riding, it’s doable with popular bikes like Sportsters, and it leaves room for some sightseeing along the way. I bought a National Parks Pass in November, so I will admit that I scoured the National Parks website to see how many times I could use it along my route. Part of the reason we ride is to see and experience nature – and there’s no better way to do it than in our National Parks. I’ve been using RoadTrippers.com to plan our trip and I am very impressed with it so far. It has an overlay with lodging, sightseeing, gas…basically everything you need. It also lets you turn things on and off, add waypoints, and estimates mileage between points. You can also open your maps in your favorite navigation app. Seriously – can’t recommend this site and its apps enough for road trip planning. Don’t make your road trip calendar so tight that one flat tire will throw everything off. Leave enough room in the schedule to account for things like weather delays (like the one we had in San Felipe) or bike problems. This will help you keep little things from becoming total catastrophes – and if you don’t end up needing your buffer time you can spend an extra day somewhere cool! 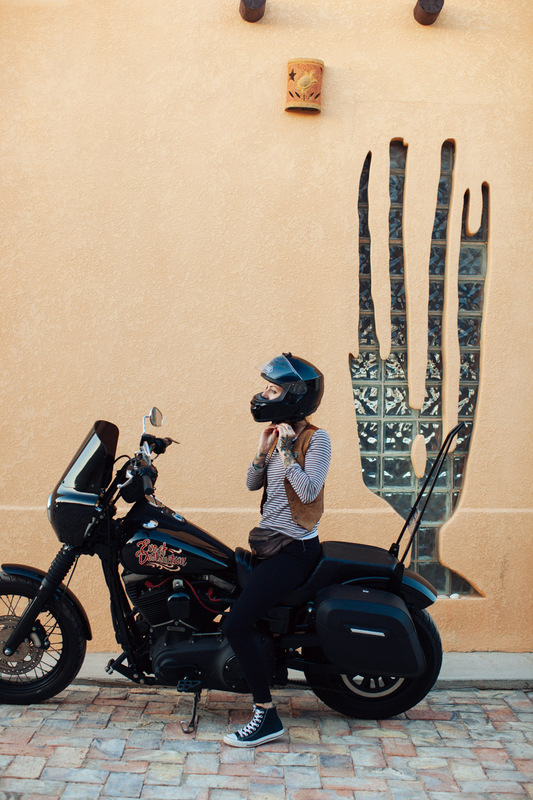 Depending on how far you’re going – make sure to get your bike serviced and ready for the big trip before you go. You might also need to think about luggage options – it’s a lot harder to get two weeks worth of luggage onto a sport bike than it is a big touring bike, so think ahead about what you might need to add to your bike to keep yourself comfortable for the long haul. Sanna and I have both added hard saddle bags to our luggage options, but our travel companions are going with the old biker standby – duffle bags and backpacks plus some trash bags for rainstorms. Some people LOOOVEEE camping by bike. My dad would never do this trip without making at least half of it camping. However – I’ve known me for a while and I know that I will camp maybe two times before deciding I need a real bed and a shower and I will probably be a brat about it. Because of that – we’ll be staying in budget motels for the whole trip and will not be packing camping gear. 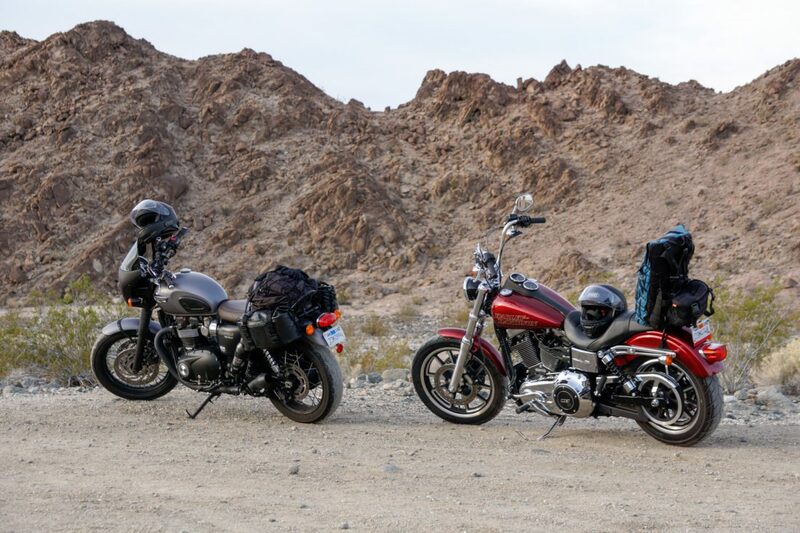 Make sure you and your riding partner(s) are honest about what your tolerances are while on the road – and if you’re not sure take some overnights to find out. For some places, you don’t need to book your hotels or campgrounds in advance. But if you’re headed to a popular area in a popular time of year – you should book in advance. The last thing you want to happen is to have an amazing day only to realize every single hotel room in 50 miles is booked up. Luckily – with smartphones you can book morning-of or the day before using apps like HotelTonight or Hotels.com. This will keep you from losing a ton of money in pre-booked hotel rooms if you end up stuck somewhere an extra day due to a bike problem. Do you have any other tips? This will be our longest road trip to date – so if you’re a seasoned tourer, share your wisdom in the comments! I have lots of tips, but the short and sweet of it is: there’s not much trouble that a cell phone and money won’t get you out of. My must haves are a charger that attaches to the bike and a paper map. Other than that, relax and let the road take you where it wants to. Good advice! One thing we haven’t done yet is get paper maps – time to hit up AAA!